Selling Your Home? You Better Understand Price Elasticity First! If you want to sell a home today, you should understand that things have changed. Not worse and not better, just different. And if you stay ignorant of price elasticity in your local real estate market, then you're likely to leave a lot of money behind when your home has been sold! Setting the right asking price for your home is far more complex than what most real estate agents will lead you to believe. The fact is, a home is not a raw material or product that has a specific value that can be identified with a price tag, rather each home has a value range that typically spans up to twelve percent in the Tallahassee real estate market (and most others too I would suspect). Calculating this value range requires a little math, a little theory, and a whole bunch of experience in your local housing market. With 27 years brokering real estate in Tallahassee, I can tell you that determining the initial asking price for home sellers is more important today than ever! 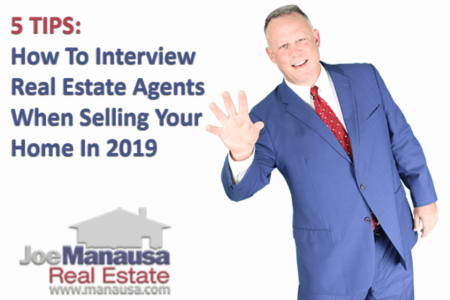 If you price your home too high, you fail to attract the multiple buyers necessary to create a bidding war for your home (see why agents who tell you "It only takes one" should not be hired). If you price your home too low, you attract multiple buyers ... who can't afford to pay you what your home is worth! Choosing the right initial asking price comes from an understanding of your home's value range and the liquidity in the market (and understanding of the current supply and demand for your home). To better explain this, let's take a look at real estate price elasticity and how it applies to selling a home. Most homebuyers are sensitive to the price of homes in the specific market areas and niches in which they are shopping, and we can assume that more people will buy homes at lower prices and less people will buy if homes are more expensive. But price elasticity is more quantifiable than that, and can typically show exactly how responsive customer demand will be for a home based on its price. Home sellers need to understand how elastic, sensitive to fluctuations in price, or inelastic, largely ambivalent about price changes, their home will be when contemplating how to set or change the asking price. This is not something you can calculate by looking at homes on real estate sites, rather it requires expert analysis of all market conditions that impact the value of a home. And remember, if this is done incorrectly, the swing in value can be up to twelve percent ($36,000 on a $300,000 home!). In years past, real estate marketing was not nearly as critical as it is today. You could get a home sold "For Sale By Owner," or through the use of a real estate agent. You started with a high asking price and over a period of several months, you would negotiate with the buyers who might come along. "Back in the day ...", you would see signs like "$250,000, OBO." Well, that type of marketing is exactly why there is a range of 12% in the value of homes today. Because the internet has changed the way we market a home for sale. If you want 100% of your value (instead of 88%), you need to expose your home IMMEDIATELY to the large group of buyers most likely to buyer your home RIGHT NOW. You need a massive marketing push that can only be generated with lots of experience and lots of money. 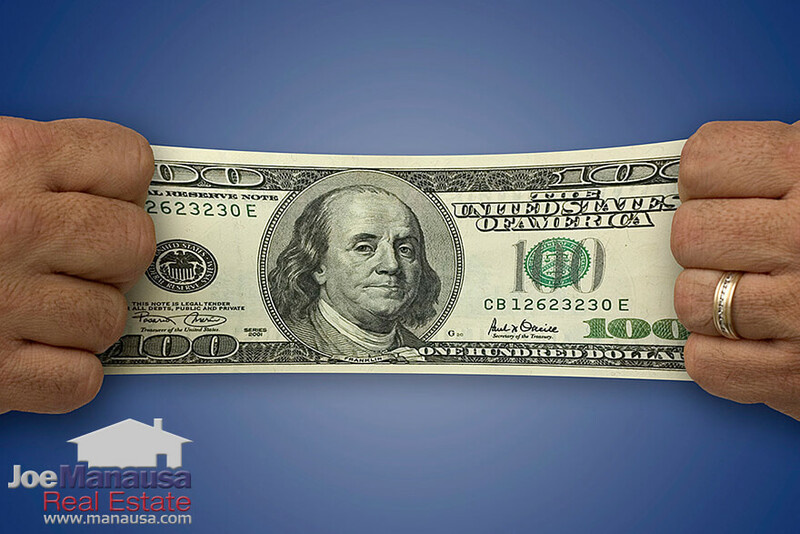 This is why experts around the US are telling home sellers to follow the money to find the right marketing plan for selling at top dollar. For example, here is what Shark Tank's Barbara Corcoran has to say about selling a home. 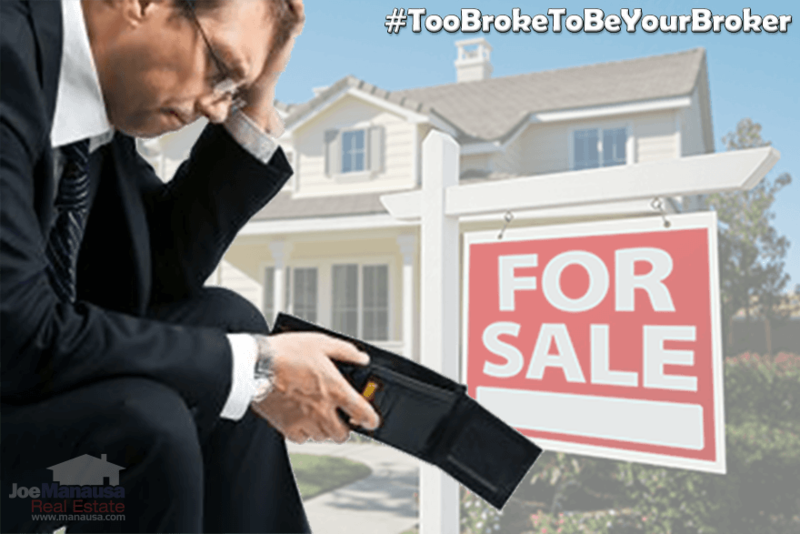 Now the typical agent might tell you "I have a buyer for your home," the fact is most homes never get in front of the people who are the MOST LIKELY to pay 100% of the market value of the home. Don't be fooled by false promises, evaluate prospective listing agents by reading their reviews on sites like Google and Facebook. Most other sites can be gamed by the agents, so I recommend you stick with Google. If an agent is good, she or he will have hundreds of reviews on Google. Hey, great article and I thoroughly enjoyed reading it. Since quantity demanded usually decreases with price, the price elasticity coefficient is almost always negative. Economists, being a lazy bunch, usually express the coefficient as a positive number even when its meaning is the opposite. We're a pretty difficult people. Itâ€™s important to note, however, a decrease in quantity demanded does not automatically mean that revenue decreases. The additional profit margin could make up for the slight decrease in purchases. Thanks for adding to the post Kylian. Kylian, I read Joe's article and enjoyed it as much. 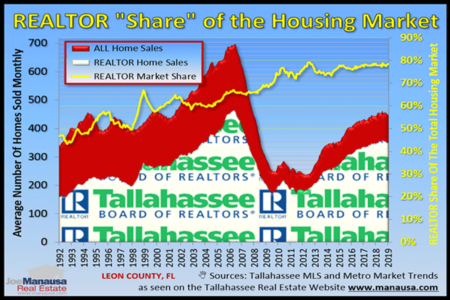 What I am hearing him say regarding buying and selling real estate in Tallahassee is that there has been a shift, an historical/procedural shift. Sellers who, for example, sold their own homes could get away with an inflated (ahistoric) sense of value. They expected buyers or "the buyer" to bring an offer somewhere in the vicinity (12%) of what the seller would eventually accept for the house. That same uninformed mentality carries over today in how most well-meaning but underfunded agents/companies attempt to market a seller's house. Buyers today use the Internet over 90% of the time in their search for a new home. The historical shift in our industry is what buyers "know" about a house before they make an offer AND how the buyers know, i.e. Internet Marketing. Sellers need to know how to immediately market the true value of their homes to generate the right amount of interest and cause the highest possible offer(s) the market will allow. Are you saying, Kylian, that those lazy bunch of economists have not considered or commented on Internet marketing's effect on the "price elasticity coefficient" in the Tallahassee housing market like Joe is doing here?